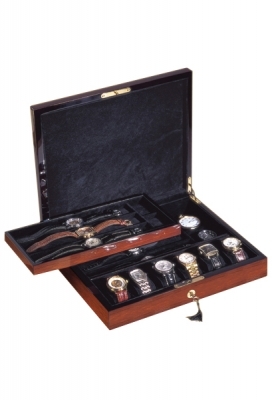 Thai Teakwood finished with a high gloss lacquer case holds 12 watches. Each watch mounts securely on a padded pillow. Gold plated hinges and lock. Case bottom is felt covered to prevent scratching.